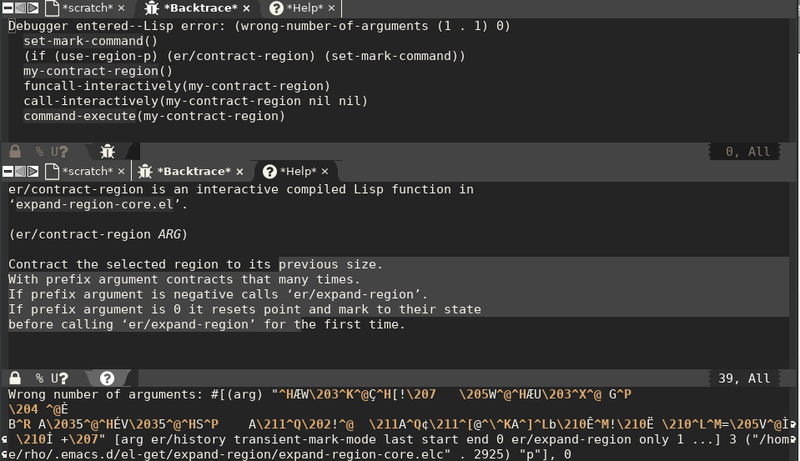 Since we nomally use C-SPC to set-mark, which would be ovrrided by this config, but C-SPC when region selected will reset the region the reset to the current-cursor-position, so binding er/contract-region to C-SPC make sense so I did. Not the answer you're looking for? Browse other questions tagged key-bindings debugging or ask your own question.